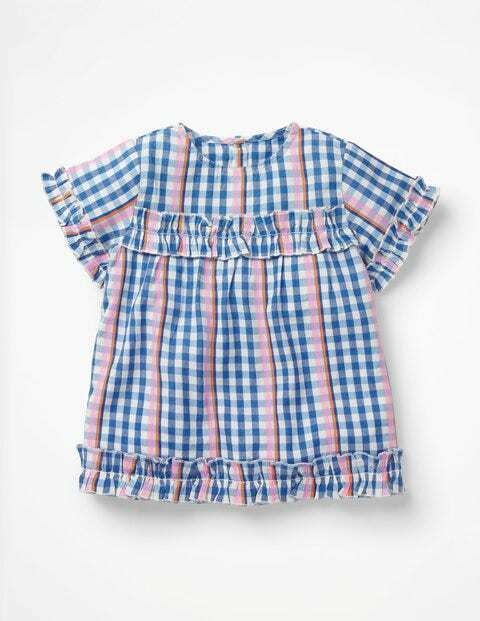 Because there really is no such thing as too many ruffles, this nostalgic floaty top has them every which way. The swingy shape is emphasised by a gathered frill, around the middle, on the sleeves and around the hem. Fully lined, the top has a two-button fastening at the back for no-fuss changes. It's ideal for parties, the playground and everything in between.